The public hearing was held from 4 to 6 pm in the Natural Science Building of UNIST on April 11, 2019. 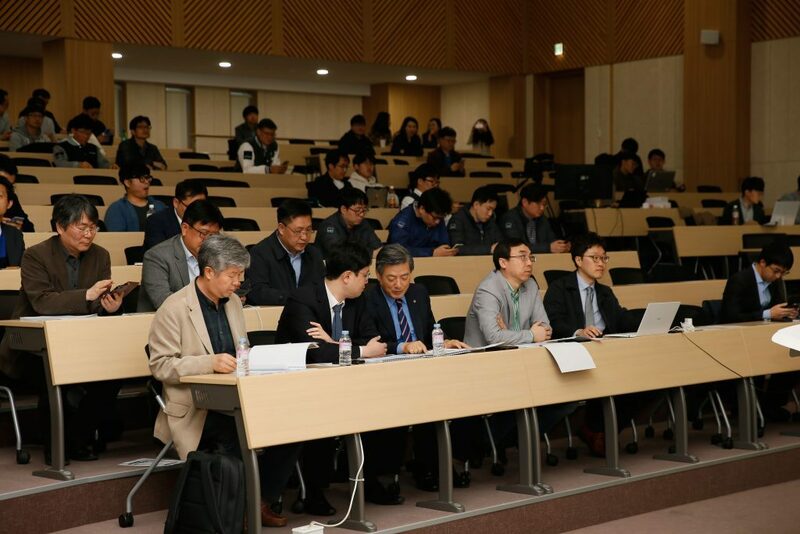 On April 11, UNIST held a public hearing on the enactment of its presidential nomination committee regulations, organized by the UNIST Planning and Coordination Team. Took place in the Natural Science Building at UNIST, this public hearing was aimed at giving the members of UNIST a better understanding on the enactment of the rules on management of Presidential Candidate Nomination Committee, which has been in progress since March 2018. The Presidential Candidate Nomination Committee (hereinafter “Committee”) of UNIST is a committee formed to nominate candidates for the presidency. According to the articles of incorporation of UNIST, ‘Rules on composition and operation of the Committee, as well as other necessary details shall be amended with the approval of the Board of Directors. Over the past year, the Main Administration of UNIST, UNIST Faculty Association, Student Council, and UNIST Employees’ Union have exchanged their opinions in various ways for the establishment of such regulations. At the hearing, representatives of other Institutes of Science and Technology shared their regulations and experiences of each institutions regarding this matter. At the hearing, an explanation was made on the lineup composition of the Committee, presented by the main administration of UNIST. The committee proposed herein consists of 7 members based on the discussion over the previous year. This includes 3 board members, 1 university council, 1 personnel, recommended by the Ministry of Science and ICT, and 2 outside members, recommended by the Board of Directors and the university council. Indeed, the committee, proposed by the main administration, retains the flexibility to reflect the opinions of its students and staffs, when compared with other Institutes of Science and Technology. At this hearing, the Deans of Planning team of other Institutes of Science and Technology attended to share their regulations and experiences of each institutions regarding that matter. 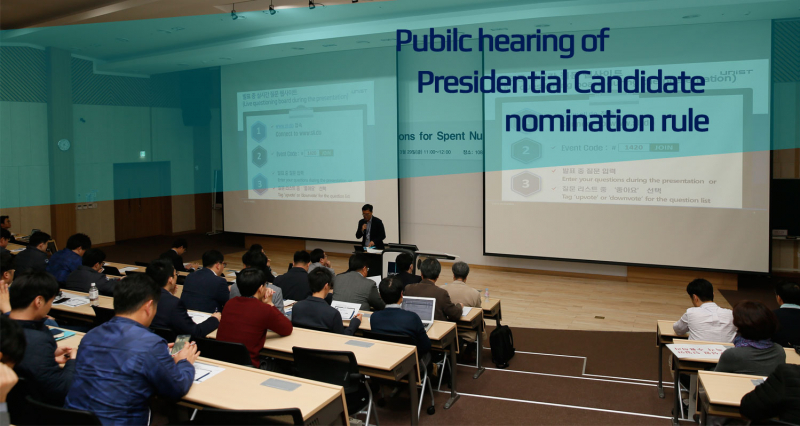 The Dean of Planning team from Daegu Gyeongbuk Institute of Science and Technology (DGIST), which recently elected a new president, share their experiences with regard to presidential search. 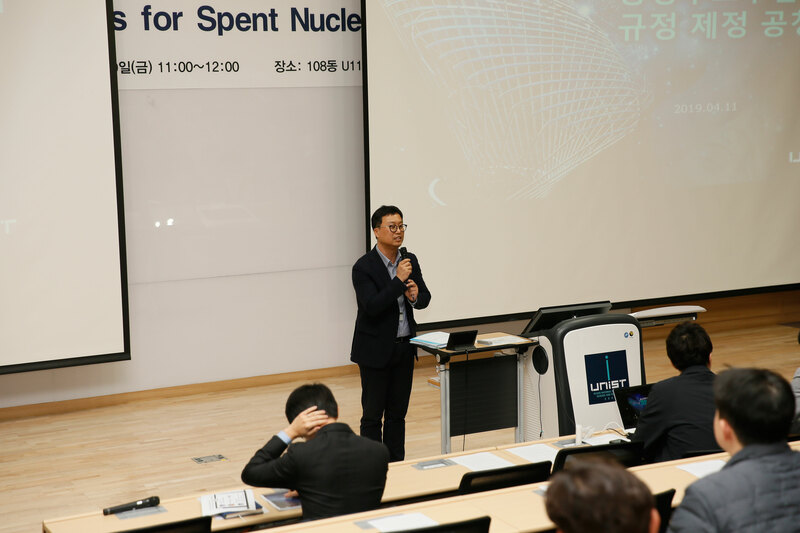 A representative from Korea Advanced Institute of Science and Technology (KAIST) also talked about their nomination process. 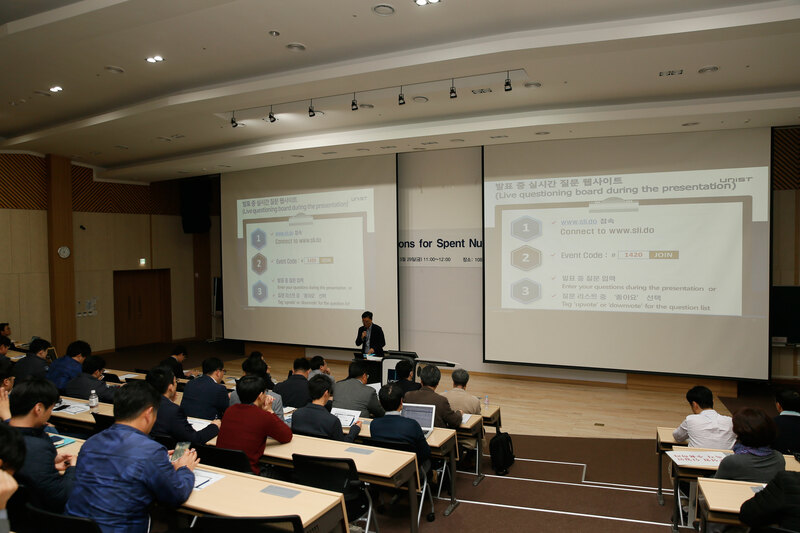 There has been also a case study on the presidential nomination committee regulations of Gwangju Institute of Science and Technology (GIST).